With email nearly 40 times more effective at acquiring new customers than Facebook and Twitter its one marketing channel businesses just cannot afford to ignore. Obviously, the most important thing when sending emails is to make sure the emails don't bounce. 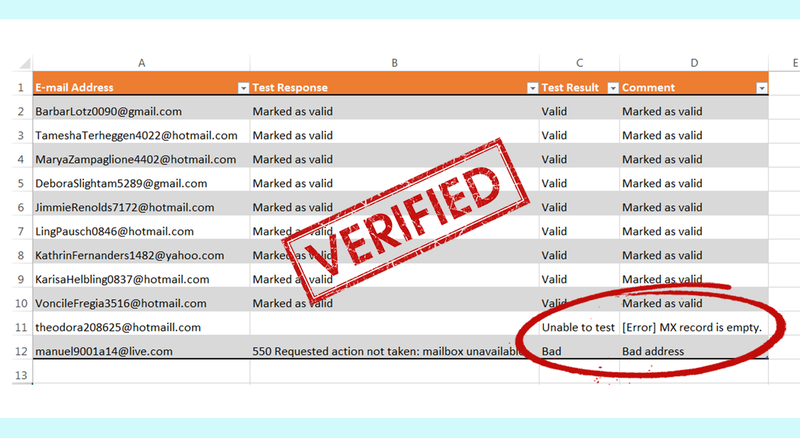 A high bounce rate will get your organization flagged in various spam blacklists. When that happens, emails that normally will be delivered to your recipients will be blocked, rendering your email marketing campaign pointless. Research shows that 30% of emails go bad in just one year. Therefore, a key factor to a successful email marketing campaign is the cleaning of the email address list used for the campaign. My system works on the same algorithm as ISP mail systems do. Addresses for email are extracted from a Domain Naming Server (DNS) and the system tries to connect with SMTP-servers and simulates the sending of a message. It does not send the message though - it disconnects as soon as the mail server informs the program whether the address exists or not. *PLEASE NOTE: Your email list will be kept strictly confidential and will not be shared with anyone. I am a skilled Business Consultant looking forward to being a part of your team for a project. 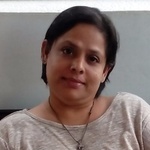 I have over 15 years of cross media experience in both start-ups as well as established...Read moreI am a skilled Business Consultant looking forward to being a part of your team for a project. I have over 15 years of cross media experience in both start-ups as well as established businesses. I have been involved in all aspects of Business specializing in Content and Marketing for many years. I have experience in Business Writing, Content Writing and Editing. I have been working in the eCommerce industry for the last 10 years. - A valuable blend of marketing and product leadership, writing and editing skills that combine efficiency with imagination to produce highly effective bottom-line results. - Adept in developing effective business plans, creating long-range focus and devising innovative methods for tactically implementing those ideas. If hired by you I promise to give a high quality in each of my submissions with high level of standard. My expertise in handling all aspects of Business is my asset and I am ready to be hired by you.